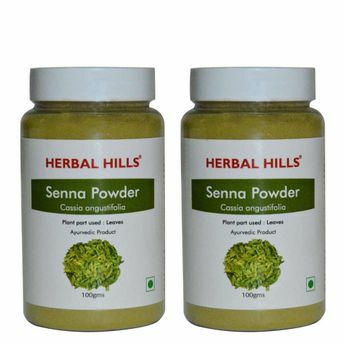 Herbal Hills Senna powder leaves have been extensively used by ayurveda as a laxative. The sennosides contained in senna are responsible for the laxative effect. It is considered to be one of the safe and effective support to prevent constipation, worm infestations and may help in toxin removal. It may help to balance Vata Pitta dosha. It is considered to have hepatoprotective properties. Long term use of senna should be avoided as it may cause serious side effects like electrolyte imbalance, muscle weakness etc. It is considered to have laxative properties. Considered to be useful in indigestion & disturbed digestive system.